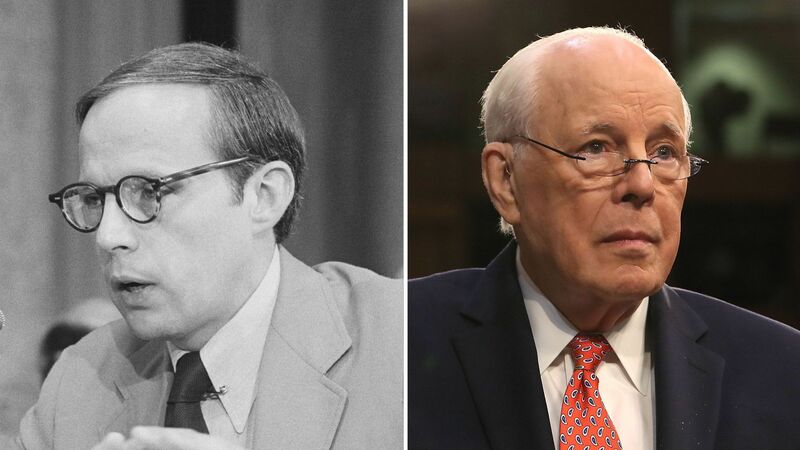 John Dean, 34, fired as White House counsel by President Richard Nixon, was a dramatic witness for the Senate Watergate Committee in 1973. 16,511 days later, John Dean, 79, returned to the Senate as a Democratic witness on the closing day of Brett Kavanaugh's Supreme Court confirmation hearing, predicting the most "pro-presidential powers" justices in modern history. 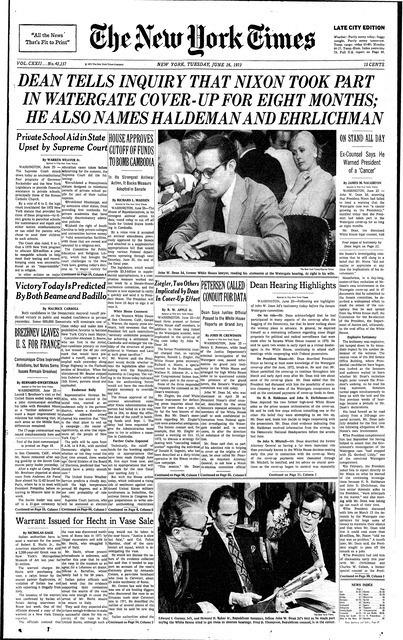 N.Y. Times banner from Watergate: "DEAN TELLS INQUIRY THAT NIXON TOOK PART IN WATERGATE COVER-UP FOR EIGHT MONTHS." "As Richard Nixon’s White House counsel, Dean was the eager tool of Nixon’s imperial Presidency, looking for ways to help Nixon illicitly expand his power. Then, before the Senate Watergate committee in the summer of 1973, ... Dean became the witness who unveiled the extent of Nixon’s secret, potentially criminal acts. "Now, almost a half century later, Dean is back testifying before the Senate with his experience having helped to choose Nixon’s Supreme Court Justices and his special sensitivity to how dangerous it is for a President to be allowed to grab too much power."